The prices are now set to AUD ($). We ship to Australia risk free - with duties and taxes all calculated upfront. 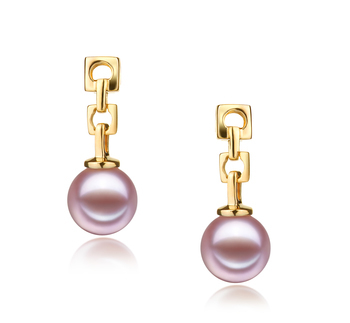 Medium in size, the 7.5-8mm Japanese Akoya Pearl earrings are dazzling in true elegance and style. 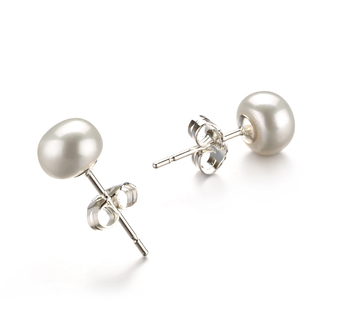 The (AAA) shape carries a unique slightly out of round character that makes the pearl sparkle with its (AA) lustre in ways that a truly round pearl could not accomplish. 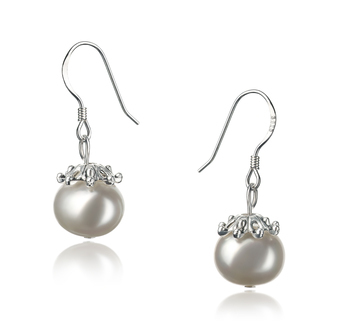 The offset areas capture the shine and reflect it back into the pearl for a truly delightful appearance. The earrings are set on a butterfly stud post and feature the butterfly backing push backs. 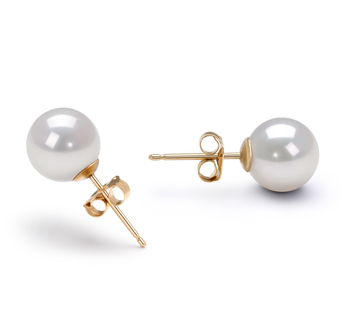 The (AAA) body shows the timeless elegance and class that the Japanese Akoya pearls are widely known for, it is a leading factor in the overall (AA) grade for a beautiful and classic set of White Japanese Akoya Pearl earrings. WHO ELSE IS WEARING IT? 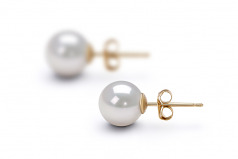 Show only for "Earring Set"
The Certificate, prepared by a Pearl Expert with over 10 years of appraising experience, describes your item in detail, specifying technical details about your item, such as pearl size, colour and body shape. A colour photo of your item is shown on each certificate to ensure carefree insurance claims should those ever arise. 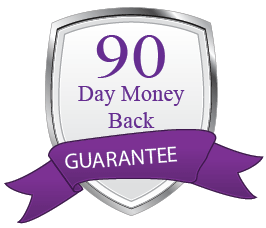 If for ANY reason you are not satisfied with your product, within 90 days of receipt of your purchased product, we will refund 100% of your purchase price...with no questions asked and a warm thank you. Your satisfaction is our top priority. Please note that we take the same care and attention to exchanges and returns as we do with your original purchase. 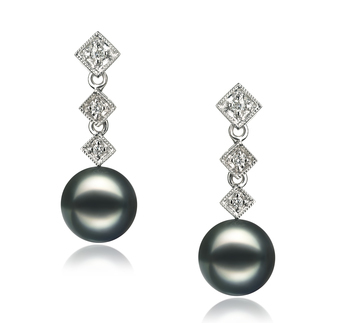 Your Pearls will be presented in perfectly matched gift box designed exclusively for PearlsOnly. The distinctive Royal mauve box with gorgeous black velvet lining is an instant sign of quality and luxury. 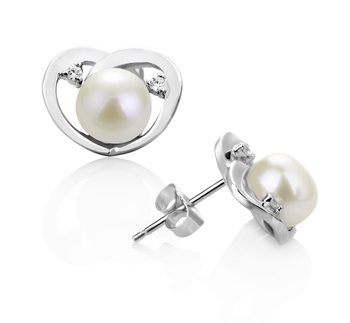 Each box is perfectly matched to the size of your item so your pearls are perfectly enclosed while they are not being worn. • Pearl Cleaning Cloth so they never lose their shine. Add an elegant Gift Wrapping and a Gift Card with your product during checkout. 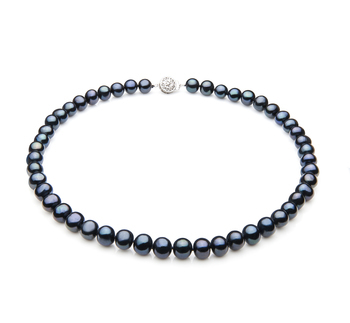 We will carefully wrap your pearls in an elegant metallic silver then finish it off with a beautiful bow. Your personal message will be hand written and enclosed in a matched envelope.